This page features ministry positions available in MBA churches, and other ministries or partnerships that contact us to share these opportunities. If you would like to add an open position to this page, please contact Beth Rose at MBA: beth@metrolina.org or call 704.375.1197. Elizabeth Baptist Church in Shelby, NC is receiving resumes for the position of Minister of Music. This position is responsible for giving leadership and oversight for a fully comprehensive music ministry. For more information about Elizabeth Baptist Church, please go to the church’s website at https://elizabethchurch.org. This position will be a part of the ministerial team of the church. Persons interested should email a cover letter and current resume to musicminister@elizabethchurch.org. Resumes will be received through May 31st, 2019. Oakdale Baptist Church of Statesville NC is looking for a Part-Time Youth Leader to assist in planning and conducting youth activities toward winning people to Christ; developing youth to Christ-like maturity; and equipping people to minister in their worlds. Take an active role in church-wide activities. Adhere to the Baptist Faith and Message 2000. If interested please send your resume to 585 Mocksville Hwy, Statesville, NC 28625, or email us at oakdalebaptist@bellsouth.net. First Baptist Church Huntersville is looking for a Part-Time Administrative Assistant. FBC-H exists to glorify God and make disciples by connecting our community for real relationships with God and others. Cultivating community by removing the walls that divide us and building bridges that connect us as one human family, each person created in the image of God. Job summary: FBC-H is looking for an administrative assistant to join our staff. This person’s role will be to create a positive first impression of the church for visitors and callers, and to provide administrative support for the church. One year of comparable office experience. Demonstrated commitment to Christian values and beliefs. Demonstrated experience with Microsoft Office products. Employment is subject to successful completion of a background check. Interested parties should submit resume to Personnel Team at fbchuntersvillepersonnel@gmail.com by Friday, Dec. 14. Independence Hill Baptist Church in Huntersville, NC is looking for a Part-Time Student Ministry Director (30 hrs/week). View Job Description here. 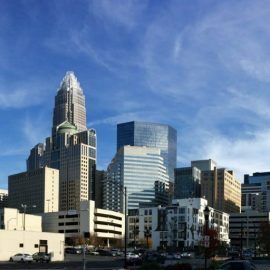 University Hills Baptist Church in Charlotte, NC is looking for a Director of Children’s Ministries. View the Job Description Here. University Hills Baptist Church will keep the invitation for resumes open until December 30, 2018. Convergence Church in Charlotte, NC (Noda area) is looking for a Part-Time Worship Leader. We are a growing church plant whose main focus is living on mission, life on life and life in community. Responsibilities include helping lead worship on a weekly/bi-weekly basis. Also, would be a great opportunity to help train others as well as learn about church planting and missional communities. Children’s Ministry Director, Full time –Do you love seeing elementary age kids take their first or next steps of faith? Do you love seeing them have that “AHA” moment when it all begins to click when they realize who God is and who they are? So do we! We are looking for someone who wants to make a career out of partnering with parents to lead kids into a growing relationship with Jesus Christ. Real Life Church is affiliated with the Southern Baptist Convention and averages over 700 people in 4 services over two campuses. The Children’s Ministry Director position serves children K-6th grade on our Lucia (sending) Campus. The Director will give leadership to both our Broadcast K-4th ministry and our Route 56 5th-6th grade ministries. The two ministries together average 70-90 kids each weekend. If you see the value in partnering with parents to raise kids who know and follow Jesus then you might be a good fit. Send resumes to resumes@discoverreallife.net and are due by October 5, 2018. Starting pay range is $40,000-$48,000 dependent on experience, education, giftings and fit. Part Time Administrative Assistant – Person with great customer service skills, detail oriented and works well without supervision needed to work in growing Church office. Data entry, Microsoft Publisher, Word, Excel skills needed. Hours M–F 12 pm to 5 pm. Send resumes to resumes@discoverreallife.net and are due by October 5, 2018. Starting pay range is $12-$14 per hour dependent on experience, education and fit. Grace Baptist Church, Mt Holly is looking for a part-time Office Administrator, 25 hrs per week. Would like to have Associates Degree in Finance or 3 years experience in accounting or other finance experience. Pay to be based on experience. Baptist Children’s Homes of North Carolina is looking for Houseparents at various locations. Visit their website at bchcareers.org to view job description and apply. Fifth Avenue Baptist Church in St. Petersburg, FL is searching for a full-time Worship Pastor. Located in an urban community in beautiful St. Petersburg on Florida’s west coast, between the Gulf of Mexico and Tampa Bay, this church has a 90 year history in the city, 200-300 in attendance weekly, with 4 full-time and 3 part-time staff members. Candidates will have experience as a Worship Pastor leading choir, praise teams and musicians. Other desired candidate characteristics include: platform leadership seeking to reach the next generation; intentional with music that is newer contemporary, hymns done in newer upbeat fashion, and urban praise. Ongoing learner; assist the ministerial staff with pastoral duties; technically savvy, responsible for technology and social media. Loyalty to the call of God and the leadership of the church. Salary Range: $60,000 -$75,000, depending on skills and experience. Newell Baptist Church is seeking a part time Administrative Assistant and a part time assistant in Finance. Please Email your resume or interest to jeanneanrogers@gmail.com or mail your resume to Newell Baptist Church, 9115 Newell Church Road, Charlotte, NC 28213. Newell Baptist Church is also seeking a full time Director of its Child Development Center. Please send resume to fdooley1@gmail.com or mail your resume to Newell Baptist Church, 9115 Newell Church Road, Charlotte, NC 28213. Macedonia Baptist Church in Lincolnton, NC is currently receiving resumes for the position of part-time Worship Leader. Responsibilities include, but are not limited to, directing the adult choir and praise team, leading blended congregational worship, assisting with funerals, weddings and other special services as needed, developing vocalists and musicians, and working with our worship ministry team and senior pastor to plan and lead Christ-centered worship. Music ministry experience and/or music education will be taken into consideration. Resumes may be emailed to pastorsetzer@yahoo.com or mailed to Macedonia Baptist Church, Attention: Dr. Randy Setzer, 5286 E. Hwy. 150, Lincolnton, NC 28092. Midwood Baptist Preschool is looking for an assistant teacher on Fridays beginning in early May, as well as teaching positions for the next school year. Applicants must have a solid relationship with the Lord, along with a love for children and appropriate experience in this field. Hope Community Church of Metrolina is seeking a part-time, Sunday only, Nursery/Infant Caregiver for the hours of 9:00am-1:00pm. Requirements should include: Born again Christian, actively involved in their local church, credible references, and loves God and children. Applicants should visit HOPE’s website www.hopemetrolina.org for application information and deadlines. You may also call the church office at 704-398-0303 for more information, or apply in person. Hope Community Church of Metrolina is also looking for Musicians to help lead worship in our Sunday morning service at 10:30am. They have a blended service of Hymns and Contemporary Christian songs. Hope is in need of a keyboardist, guitarist(electric, acoustic, lead or rhythm), percussionist, and a bass player. They would like to include brass and woodwind instruments as well. These positions are volunteer based. If you would like to serve alongside other musicians who wish to give their talent for the Lord, Hope would love to meet with you. Those interested can email Hope at worship@hopemetrolina.org or call 704-398-0303 and ask for Worship & Children’s Pastor, Kyle Matheney. Chapel Grove Baptist Church, in Gastonia NC, is looking for someone who has a ‘passion’ for worship and a desire to lead others in worship and is seeking to hire a part time Music Director. Some duties and responsibilities include developing/coordinating various music programs for the church, as well as directing the music for worship services. Must have experience with Microsoft Office software and have the ability to read and lead music in a choral and congregational setting. If you are interested in this opportunity, please contact Roger at rovertoncgbc@carolina.rr.com (resumes welcomed) or call 704-864-6134. Carmel Baptist Church in Matthews, NC is looking for candidates interested in filling a part-time Japanese Pastor position. The Japanese Pastor works under the direction if the Missional Outreach Pastor to shepherd the Japanese ministry and Carmel and to reach out to the Japanese community in the Charlotte region. Must have a good understanding of both Japanese and American culture to effectively assist with maintaining an ongoing Japanese Ministry in an American Church. Ministry experience is required. Pastoral experience in a local church is preferred. Must have a heart for evangelism and discipleship and be able to preach and teach. For more information or to apply, please contact Leslie Sheffield at leslies@carmelbaptist.org.